Cast Iron Shoe. 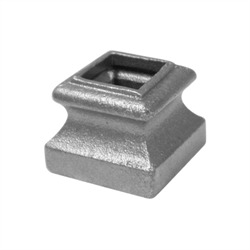 1-1/16" Height, Fits 12 mm Square. Cast Iron Boot, 3-1/4" Tangent . Fits 12mm Square.